The army and popular committees achieve many victories in the battlefronts of Taiz and the other provinces in Yemen . In Taiz , the army and popular committees launched several of shells and aimed at groupings of mercenaries in Al Iamam camp in Dubab district . Also, the army artillery targeted gatherings of aggression mercenaries and killed number of them . In Mokah district of Taiz , the army and popular committees targeted groupings of mercenaries and killed 7 of them and wounded others . 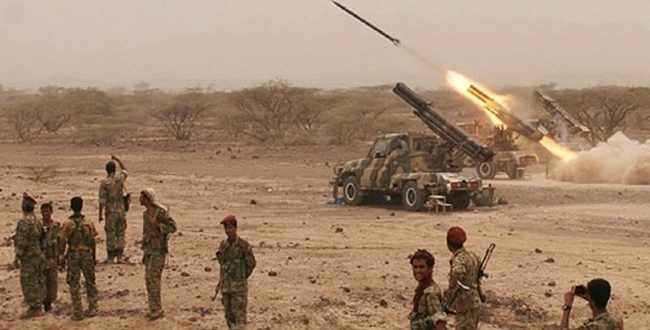 In Midi , the artillery targeted gatherings of hypocrites northeast MidI desert , and in Marib destroyed Emirati armored military belonging to the hypocrites and the dead the crew in the area of Al Makdarh .